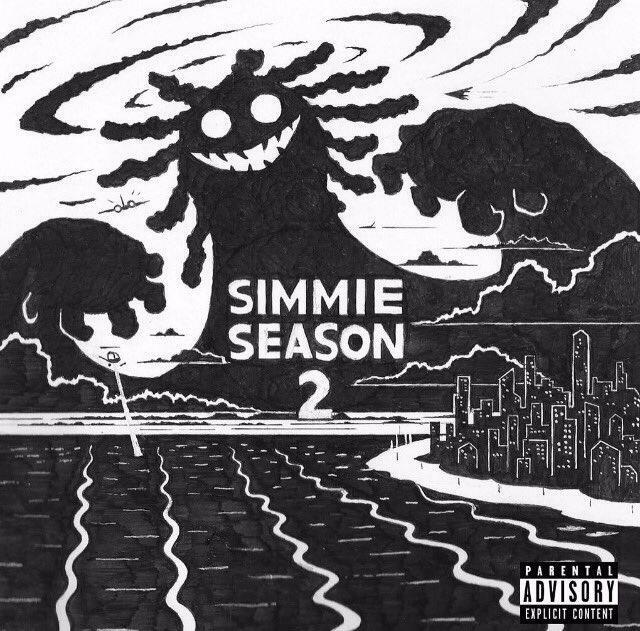 Four months after the first one, Yung Simmie drops "Simmie Season 2." The young scene in South Florida has received some spotlight in recent times, though not quite enough has been cast upon Miami's Yung Simmie. His new tape, Simmie Season 2, is gaining some serious attention on SoundCloud, as it's solid all the way through like the first Simmie Season, released in March. After making the stream available last week, Simmie has now made Simmie Season 2 available for download. There's a subdued menace about Simmie, and on SS2, he builds a dark subterranean aura with the help of extra slow and creepy trap instrumentals. He transitions above ground for two dreamy stoner songs, "Yung Bob Marley" and "Smoke Clouds," toward the end of the tape. There's an incredible cinematic detail to some of these productions, which come from HIGHAF, PurpDogg, JaySplash, and more. Denzel Curry was the lone feature on the first tape -- it's just Simmie for Season 2. Also loving the artwork for this series.